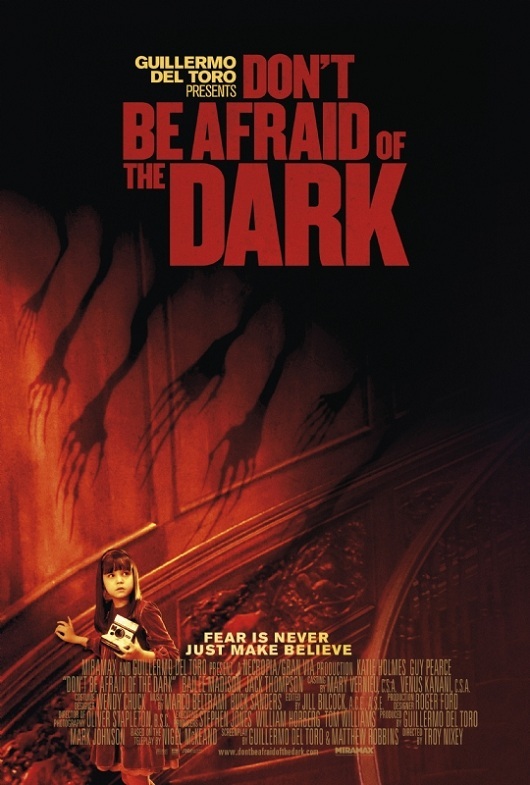 Cinedelphia has been granted 30 pairs of tickets for an advance screening of Don’t Be Afraid of the Dark that’s being held on Thursday, August 25 at 7:30 PM at the UA King of Prussia. The first 30 people to e-mail us will get to attend (passes will be delivered via e-mail) and will also be entered into a drawing for a DBAofD prize pack. As any horror fan worth his Dead Sea salt knows, the film is a remake of the beloved (by some) 1973 TV movie. The update is produced/co-written by Guillermo del Toro (Pan’s Labyrinth, Cronos) and stars Katie Holmes and Guy Pearce as the young couple who share their home with some freeloading creatures. Should be tons of fun.